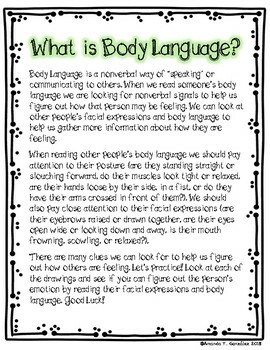 This activity is designed to help teach students about reading Body Language clues to identify how others may be feeling. A great resource to teach students about perspective taking and identifying how others may be feeling. This activity includes a description for talking about what is Body Language, as well as separate pages for each emotion with examples of the body language clues. 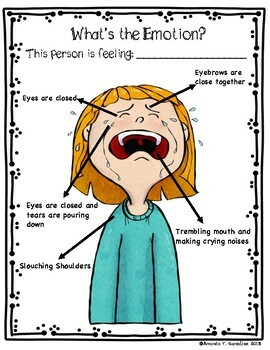 Students must look at the clues and then identify what the emotion is. 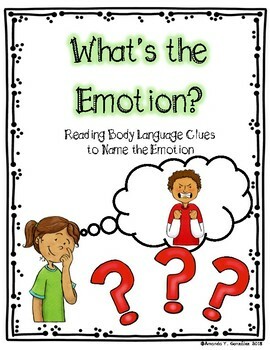 Included is an answer page for teachers, as well as a student activity with the related emotion pictures. Within the activity students must draw a line from the drawing to the correct emotion word. 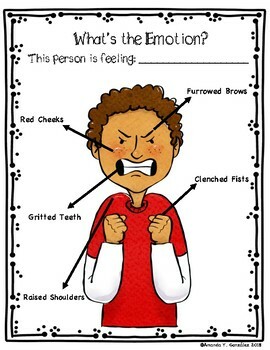 This may be a good activity to give to students as a pre/post test assessment to gauge their understanding of emotions. In addition is an answer key, as well a page with Teacher Tips on using the resource.